William has expertise and experience in the law of easements and restrictive covenants where he has had a number of cases in the Upper Tribunal dealing with applications to discharge or modify restrictive covenants affecting freehold land. He also regularly deals with disputes on title, conflicts over boundaries and claims to possessory titles. William is also very familiar with the law and practice affecting business and agricultural tenancies and he has a great deal of experience in claims involving rent review, dilapidations or other breaches of covenant in these sectors. William has a substantial body of recent experience in planning law where he has acted for both local planning authorities and developers, notably on appeals involving proposals for development in the green belt. William also has a special interest in listed buildings and planning conditions which seek to restrict occupancy of new or converted dwellings to local inhabitants. William considers that his expertise in planning law is assisted by his lengthy background as a Chancery lawyer specialising in land law. William also advises on the control of advertisements. He recently advised on the likelihood of a consent to the siting of an elevated digital display unit on a building overlooking a large roundabout having five exits and four entrances. William is also regularly instructed by landowners and local authorities in cases involving planning enforcement. William has acted in cases where enforcement has involved claims for demolition and where unlawful sub-division has given rise to demands for substantial compensation under the Proceeds of Crime Act 2002. He also appeared for the landlord in Paramaguru v Ealing LBC  EWHC 373 (Admin) where it was held by the Planning Court that children under the age of 18 counted as ‘residents’ for the purposes of a Class C4 use within the meaning of the Town and Country Planning (Use Classes) Order 1987. The case has serious consequences for landlords of small HMOs occupied by six or fewer residents which do not require planning permission. William also appeared for the appellant in Crawford-Brunt v Secretary of State for Communities and Local Government  EWHC 3580 (Admin) where the claim to standing failed as neither appellant had made objections during the appeal process and merely lived in neighbouring properties. William had unsuccessfully attempted to distinguish the facts of this case from the decision of the Supreme Court in Walton v Scottish Ministers  PTSR 51. William was also recently involved in a successful application to discharge an order under section 215 of the Town and Country Act 1990 (under which an authority may take steps requiring land to be cleaned up when its condition adversely affects the amenity of the area). William is also currently involved in a substantial, high value litigation between operators involved in the management, disposal and recycling of household waste materials. William has considerable experience in relation to commons and village greens on which he has written and regularly given seminars. He regularly takes part as an inspector or counsel in a large number of village green inquiries. He advises applicants for registration, landowners and registration authorities on matters of procedure, evidence and law on a range of matters, not least in relation to the prescriptive acquisition of recreational rights over land and what to do when your land has been wrongly registered as a green. 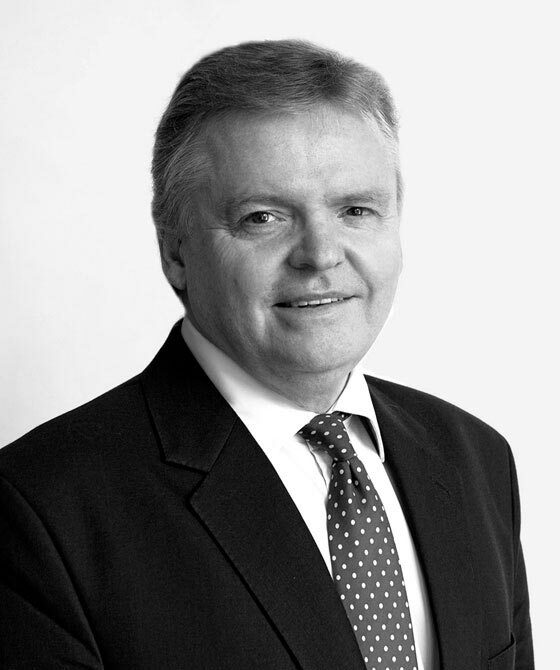 William was instructed by Surrey County Council to act as the non-statutory inspector in R (NHS Property Services Ltd) v Jones  EWCA Civ 721, a case which went to the Court of Appeal where William’s recommendation to the registration authority on the statutory incompatibility objection was restored (William’s report to the registration authority ran to 111 pages). This case is now proceeding in the Supreme Court (being conjoined with R (Lancashire County Council) v Secretary of State for the Environment, Food and Rural Affairs  EWCA Civ 721) following the grant of permission obtained on 31/10/2018). William also appeared as junior counsel in the Supreme Court in Taylor v Betterment Properties (Weymouth) Ltd  UKSC 6, now the leading case on non-peaceable use. William also speaks regularly on village greens and highways. Public rights of way is another challenging area of the law and gives rise to acute conflicts of interest. All too often the issue is whether an ancient track in the countryside is in law a public highway or, if it is, whether those who would like to use it with motorbikes for recreation have had their rights taken away by legislation. William has regularly appeared for landowners at inquiries in the case of opposed modification orders. William is an expert on the law and practice of assets of community value which was introduced in the Localism Act 2011. He acted for the listing authorities of Trafford Council and Liverpool City Council on the listing of the football stadia of Old Trafford and Anfield. He has also appeared for landowners at review hearings where it is possible to rescind a listing prior to a challenge being taken by a landowner to the General Regulatory Chamber of the First-tier Tribunal. As the jurisprudence develops these cases are becoming ever more complex, particularly in cases involving the closure or development of public houses (by far the most popular type of asset listed as an ACV, at least until permitted development rights were disapplied in 2015). "A careful lawyer and an effective advocate." William Webster is qualified to accept instructions directly from members of the public and professional clients under the Direct Public Access scheme.